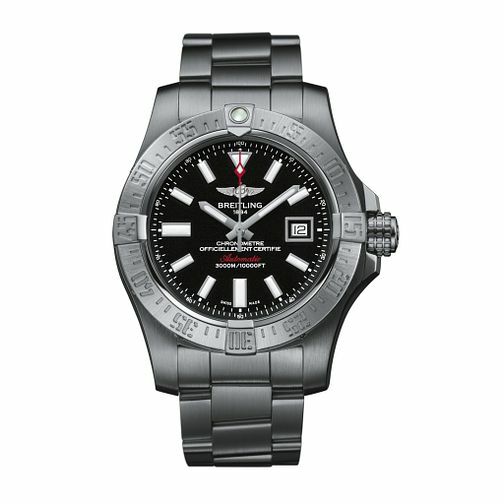 Crafted in sleek stainless steel with a bold black dial, the Avenger Seawolf II from Breitling combines sleek design with high-performance technology. A practical date display sits at the 3-o-clock position, with illuminated easily readable hour markers, hands and the signature Breitling logo. Powered by chronometer-certified automatic movement to ensure the highest precision and reliability, and impressive water resistance up to 3000 metres, ensures this timepiece is ideal for the man-on-the-move.